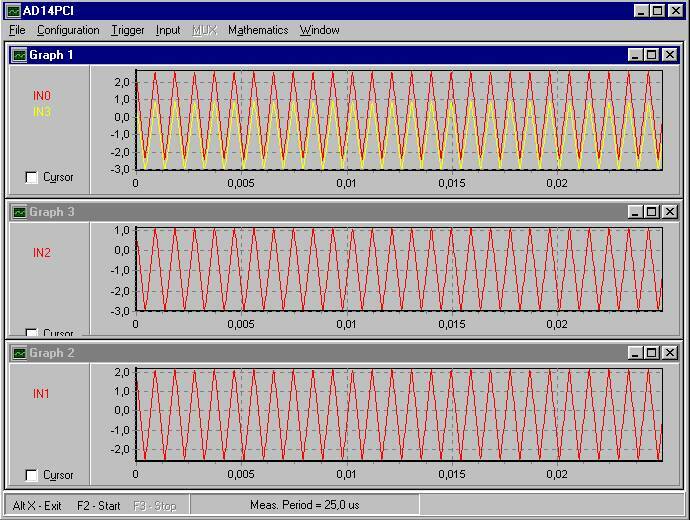 is a data acquisition module with high resolution up to 26 bits (sampling rate 3 samples/s) and galvanic isolation from PC. AD24USB uses USB, AD24ETH uses Ethernet 100/10 Mbit for simple connection over LAN. The module offers an additional unique feature: AC modulation of input or excitation voltage or current. This feature eliminates parasitic thermoelectric voltages and input offset and dramatically reduces input noise. 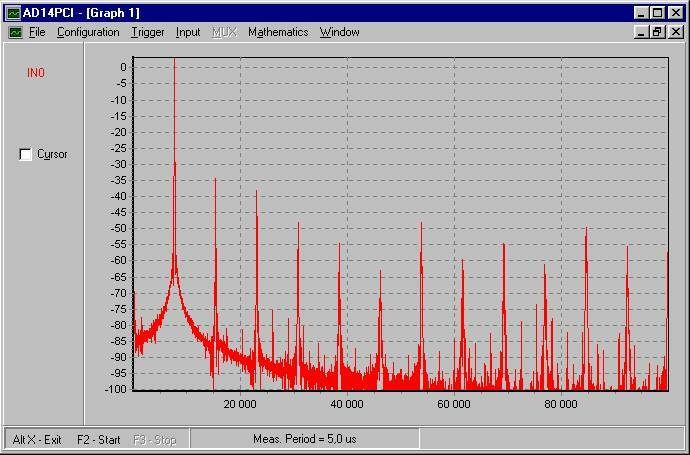 Input noise with activated AC modulation is only 15 nVpp for measurement speed of 1 sample/sec. It is comparable with good nanovoltmeters but with fast input multiplexing due to digital implementation of modulation and fast digital filter at fraction of the cost of nanovoltmeter. AC modulation of the excitation voltage or current is another unique feature which eliminates also parasitic thermoelectric voltages in input wires from sensors. AC modulation gives temperature resolution 0.0001 deg.C with Pt100. Details about AC modulation can be found here. Connection options for various sensors like thermocouples, strain gauges, Pt100 are described here. AD section - an integrating AD converter with resolution from 22 to 26 bits with galvanic isolation from USB, sampling rate from 80 to 3 samples/s, 8 differential or 16 SE inputs, input range 10 V/ +-5 V, programmable gain 1 to 128 (1 to 512 for differential version), noise without AC modulation 210nVpp, noise with AC modulation 15 nVpp for 1 sample/sec, expanders for thermocouples, strain gauges, Pt100, Pt1000 or RTDs. DA section - optional - resolution 16 bits, range 0-5 V(10 V) or current 0-20 mA (100 mA),. Digital I/O - 2 dig. inputs/4 dig. outputs. Software - driver for Win XP-Win10 and DLL library for development in Delphi, Visual Basic, C++, Matlab, LabView etc. 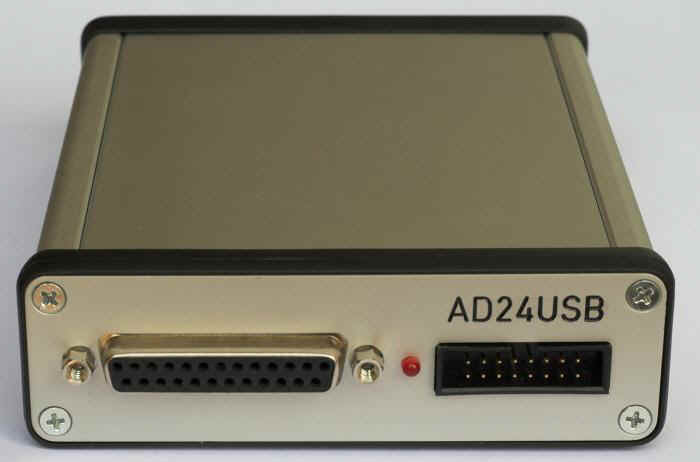 AD24USB/AD24ETH comes also with software AD24control - simple but powerful program which offers data capture, graphs, printing and export to other programs like EXCEL, Matlab etc. is a DAQ module with AD converter 14 bit/400 kS/s with interface Ethernet 100 Mbit/s. AD section - resolution 14 bits sampling speed 400 kS/s, 16 SE inputs, 32 with an expander, input range 0-10 V/ +-5 V, programmable gain from 1 to 8, built in ARM Cortex M3 processor implements digital filtration and can increase resolution up to 16 bits. Digital inputs/outputs - 7 dig. inputs/7 dig. outputs TTL . Input expanders for up to 30 Pt100 or 30 thermocouples. Software - driver for Win XP-Win10 and DLL library for development in Delphi, Visual Basic, C++, Matlab, LabView etc. 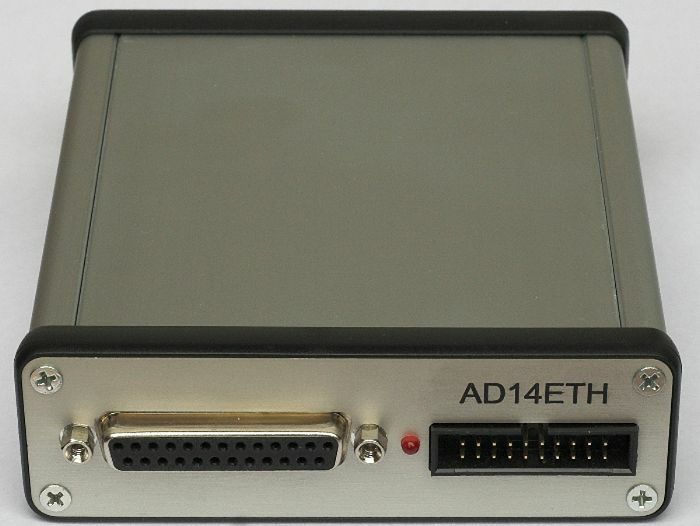 AD14ETH comes also with software ADcontrol - simple but powerful program which offers data capture, graphs, digital filtration,FFT, printing and export to other programs like EXCEL, Matlab etc. is powerful and user-friendly software running under Windows XP/Vista/7 for AD14ETH and its simplified version (without FFT and digital filtering) comes with AD24USB/AD24ETH and AD16USB. the software is optimised for work with a large amount data - up to 100 000 000 samples.